Home / Posts Tagged "Belfast City Hall"
Belfast City Council event with History Hub Ulster member Nigel Henderson. Over 200,000 Irishmen fought in the Great War, and it’s estimated that up to 25,000 – 30,000 Irish soldiers from the Irish Divisions and others in British based Divisions died between 1914 and 1918. The most iconic Battle involving Irish soldiers was the Battle of the Somme, which began on 1 July 1916. Nigel Henderson and Philip Orr will deliver a presentation on some of those who lost their lives, focussing on the impact that this had on communities in Belfast. 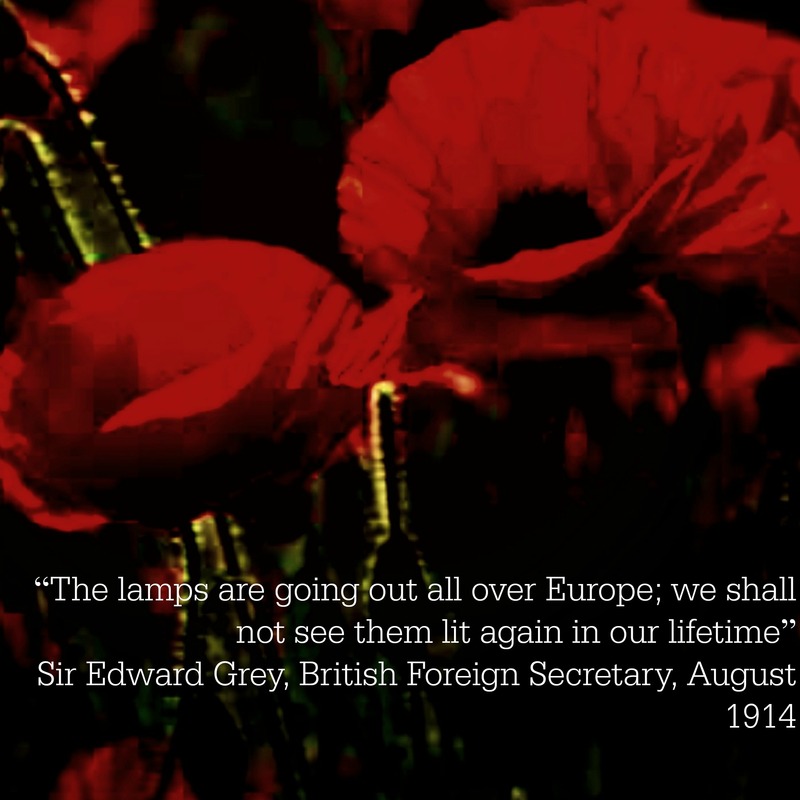 The presentation will also include poetry written in Ulster and in France during the period of the Battle of the Somme. The presentation will be followed by a dramatised reading of the Halfway House, which looks at two women who met in 1966, the 50th anniversary of the Easter Rising and the Battle of the Somme, hearing of the experiences of their fathers who were on different sides in 1916. Booking is essential, email goodrelations@belfastcity.gov.uk or call 028 90270 663 to register. 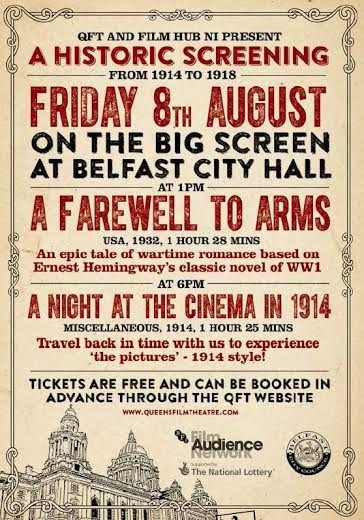 QFT Belfast and Film Hub NI present A Historic Screening on the Belfast City Hall Big Screen on 8th August.